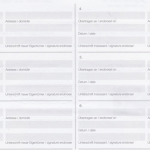 …and receive documents of title according to the Swiss Code of Obligations. These documents of title are marketable securities.They are freely transferable by simple endorsement. You can use them as collateral. iPad, Smart Phones, Laptops, Hybrid vehicles, Solar Systems, LED lighting, Flat Panel Displays, Laser Technology, Aerospace, Wind Energy, vital Medical Applications for diagnoses and therapy - all no longer possible in our world without the use from Technology Metals. Stored Insured in Switzerland, Hong Kong and more. Yes you can... Resell to us. Gold, like any recognized national currency, has an official international currency code (“XAU”) and is part of the world’s currency reserves. Silver has always had a monetary value and a very important component as a defender of purchasing power. Take advantage of the low market value today! Technology metals and rare earths play an increasingly important role worldwide. The reasons can be found in new application technologies. iPad, Smart Phones, Laptops, Energy Saving light Bulbs, Hybrid vehicles, Solar Systems, LED lighting, Flat Panel Displays, Touch Screens, MP3 player, GPS, Laser Technology, Aerospace, Wind Energy, vital Medical Applications for diagnosis and therapy – all no longer possible in our world without the use from Technology Metals. With us, the customer acquires always real Physical Ownership of the metals. There are no precious metal cash accounts existing, which are only covered with precious metals. There are no certificates, no co-ownership of gold bullion of a weight of 400 ounces. Our customer acquires only Exclusive Ownership of Precious Metals and / or the rare High-Technology Metals – always Clearly Allocated. 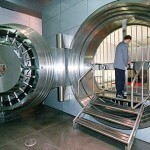 Everything is stored in our safe Bonded Warehouses, insured of course.